4.Please note the buyer is responsible for import tax or duties and our price is not include tax. 5.Please ensure the parcel you received is in good condition before sign on it.If there is any problem,please contact us first,we will solve your problem as soon as possible. 6.Returns are accepted if the product is very different from its description. 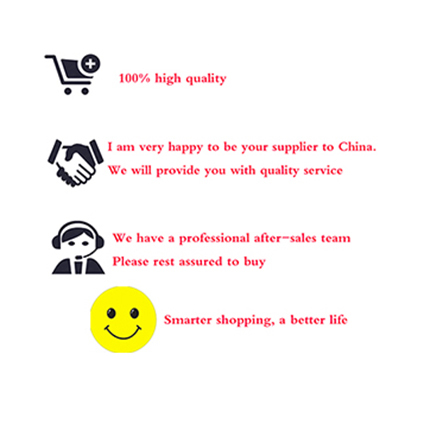 The buyer can return the product (taking charge of the return shipping costs) or keep the product and agree with the seller to return the money. 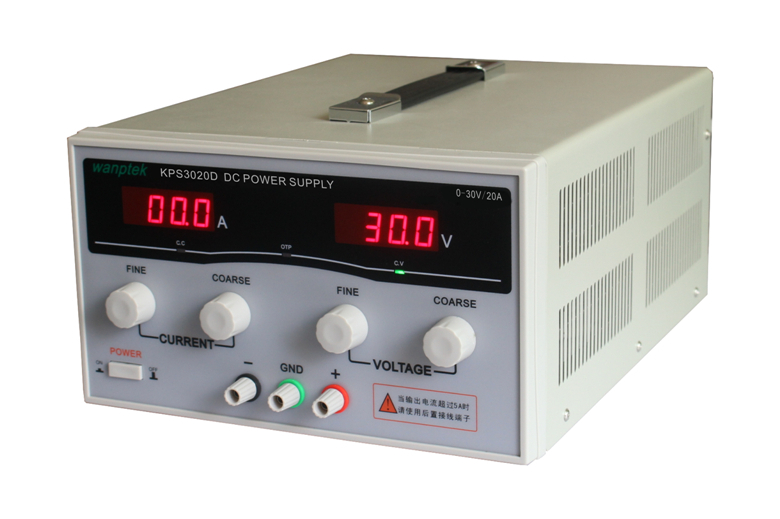 The 3005D-power supply is a continuously adjustable dual-channel DC regulated power supply with a large-screen LCD display. Do not use in an environment where the ambient temperature exceeds 40 ° C. The cooling air is located at the rear of the machine and should have enough space. 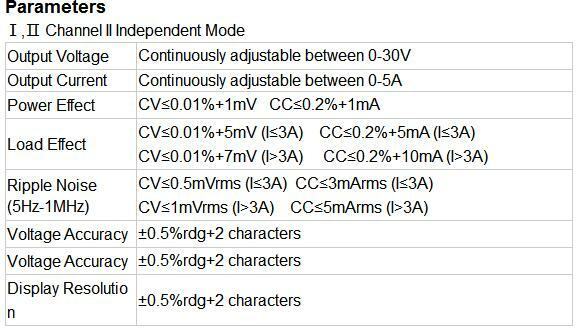 When the power is turned on, the voltage between the output terminals does not exceed the preset value. The power supply has perfect overheat protection function, which can protect the power supply from working under abnormal conditions without causing internal components. The device overheats and burns the power supply and user equipment. If the internal transformer temperature of the power supply is overheated, it will be automatically cut off. Normally, the power supply will return to the default working state. When the temperature is lower than 45 °C, the fan automatically stops running. 1. Set the power switch to the "OFF" position. 2. Make sure the input power supply voltage is correct. 3. Connect the power supply. 4. Set the power switch to the "ON" position. 5. Adjust the "VOLTAGE" and "CURRENT" knobs to the desired voltage and current 値. 6. Connect the external load to the “+” and “-” output terminals. 7. When used in a place with high requirements, the output "+" or "-" must have a column to be connected to the GND. By connecting, this reduces the ripple voltage of the output. Slide the tracking mode selector switch on the panel to the “IND” position. At this time, the LED of this gear is lit. The mode power supply output voltage and current are controlled by the voltage and current adjustment knobs of each channel. The output voltage is the sum of the output voltage of the road and the circuit, and the output voltage is controlled by the bypass voltage adjustment knob. The output current is controlled by the circuit and the current adjustment knob of the circuit, and any current enters the constant current state, and the current is constant. constant. At this time, the power supply "+"" is the road output "+", and the output "-" is the road wheel out "-". The two terminals are shorted by wires of AMG20# or higher. The output current is the sum of the output current of the road and the circuit, and the power output of the wheel is controlled by the power adjustment knob of the circuit. The current is controlled by the 1-way, open-circuit current adjustment knob, and any current enters the constant current state, and the current is constant. Achieve good parallel tracking effect, it is recommended that the power supply work in this mode will be the road wheel out "+"
The road output is "+", the 1-way round-out "-" and the open-circuit output "-" are short-circuited with the AWG20# or higher.